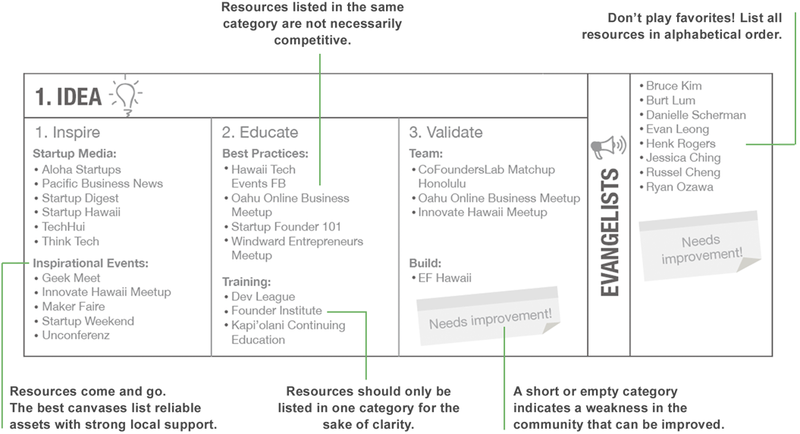 The Startup Ecosystem Canvas Template represents a somewhat sequential view of a startup ecosystem. It was inspired by Startup Communities, and refined using the Founder Institute's experience launching companies in over 85 cities worldwide..
Download the canvas template for print, copy the Google Doc Template, or see the list of existing canvases at https://FI.co/canvas. The Startup Ecosystem Canvas is free to use, and is licensed under a Creative Commons Attribution-NonCommercial 4.0 International License. Use these tips to create a handy canvas for your community, or scroll down to see completed canvases. 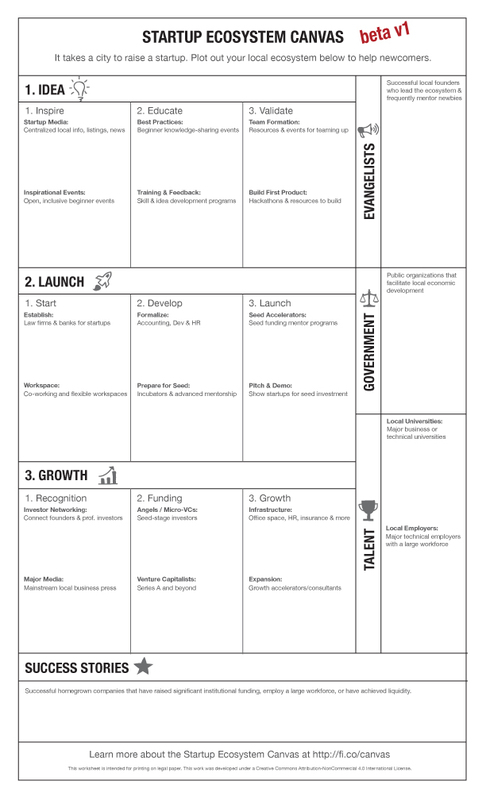 The Startup Ecosystem Canvas is a perpetual work in progress, and is licensed under a Creative Commons Attribution-NonCommercial 4.0 International License. Start a new canvas for your city, or see the list of existing canvases at https://FI.co/canvas.